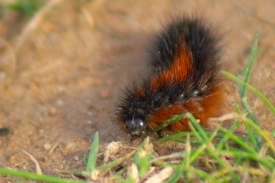 March 29, 2011 (San Diego's East County)-- Signs of spring abound! 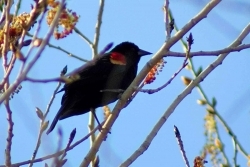 The past couple of weeks, our photographers found no shortage of birds and bees, flowers and trees resplendant in spring foliage. 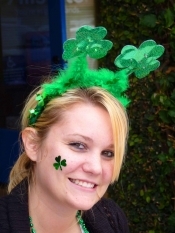 They also spotted signs of wild life both on the trail and off, as East County residents heralded in St. Patrick's Day. 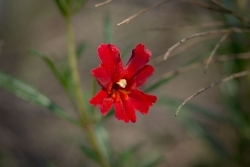 Daren Sefcik spotted this red monkeyflower along a trail in Mission Trails Regional Park. 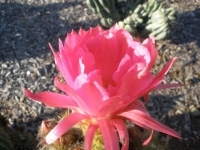 Robert Gehr photographed this gorgeous cactus bloom in the garden outside the Olaf Wieghorst Museum in El Cajon. 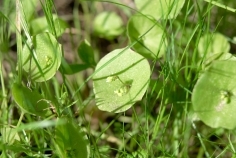 Miner's lettuce is sprouting up at Mission Trails, as Daren Sefcik has documented. He also photographed the redwing blackbird below.